The generous rainfall Northeast Ohio experienced this year filled up retention and detention ponds to levels that some property owners have not seen in some time. Some of these ponds were not constructed to manage so much water—and with a wet fall so far, the water levels keep rising. The volume of water, often filled with sediment, passing through pipes into ponds can eat away at structures like concrete headwalls and pipe. Also, banks suffer from erosion, and trapped moisture becomes a breeding ground for invasive plants like cattails and phragmites. Retention and detention ponds require ongoing maintenance to control invasive growth, stop erosion at the headwalls and preserve their banks’ integrity. Now, during fall and heading into winter, is the time to manage maintenance issues that cropped up in your retention and detention ponds. The ground is more solid, and equipment will cause less damage by banks when the soil is harder and capable of handling the weight and treads. 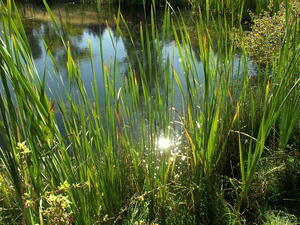 We encourage you to keep a constant eye on the condition of your property’s pond. Here are four issues the EPA could flag during an inspection — they’re all maintenance points Schill covers during a long-term retention/detention pond maintenance plan. Flowways and spillways in retention and detention ponds should be free of sediment and debris that could block water entry. Litter and debris can collect in these waterflow passages and cause drainage issues, which can further embankment erosion and compromise the pond structure. Remember, a pond is a system: If one part of its infrastructure is damaged, that “weak link” will deteriorate other aspects of the pond. If left unmaintained for any period of time, the property owner can get into expensive repairs and lots of backtracking with maintenance, repeating tasks to get the pond back into inspection-ready condition. The phrase “grow like weeds” exists for a reason. Turn your head away from aquatic plant maintenance for a few weeks and you’re right back to where you started. We use sustainable products to tame aquatic growth while having a low impact on the environment. The percentage of active ingredient is just enough to manage unruly plant growth while ensuring the safety of surrounding wildlife. Mindful management is critical for controlling invasive plants along your retention/detention pond, and you can be sure that inspection reports will call out these concerns. Most headwalls are freestanding concrete structures containing inlet and outlet pipe. With increased volume of water flowing through headwalls into pipes comes a greater potential for erosion around the structure. Inspections may focus on ensuring that vegetation is controlled around the headwall area. When property owners neglect their pond maintenance, headwalls can require repairs that involve specific materials to bring the structure up to code, such as limestone riprap to stabilize the banks. Much of this work is manual labor, which can be expensive. That said, by keeping a close eye on the integrity of the headwall managing vegetation in this area to prevent drainage problems, you can avoid code violations that are costly to repair. Running large mowers and equipment along the embankment to cut back grasses can take a toll on the earth and soil. By mowing bank surroundings less often—six times per season, for example—you can keep the grass in check without putting undue pressure on the soil. 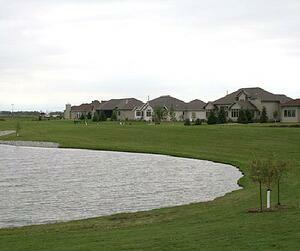 Are you at risk for code violations because of overlooked pond maintenance? 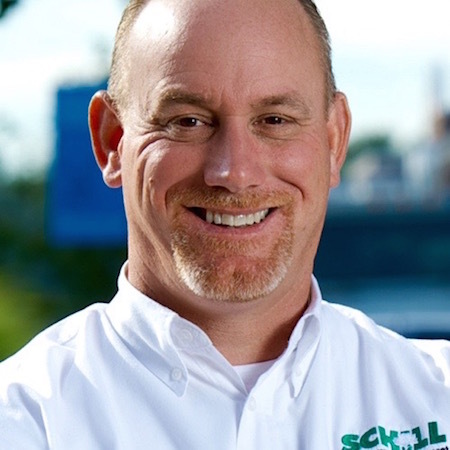 Now is a great time to take stock of the condition, control vegetation before winter, and jumpstart a long-term maintenance plan to ensure code compliance and cost-reduction. Let’s talk more. Call us any time at 440-327-3030, or fill out this simple contact form and we’ll get in touch with you!